Paris' motto is "Fluctuat nec Mergitur". Underground it could be "Silence, mortal beings" : this sentence is engraved in the stone at the entrance of the catacombs. 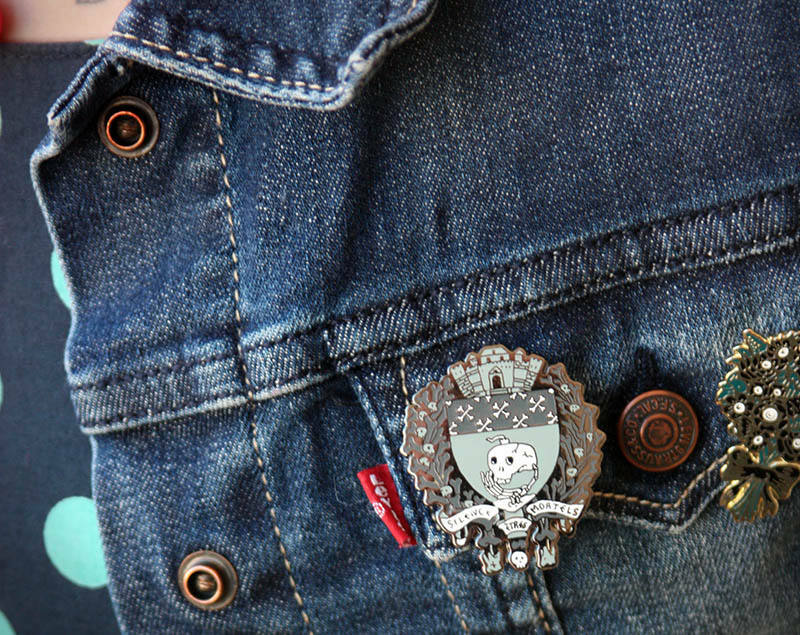 This pin mixes the composition of the coat of arms of Paris and elements like skulls and bones, which can be found in the city ossuary. It is also a tribute to the work of Beauséjour, who was an employee of Paris quarries, as well as an artist who made several sculptures inside the catacombs. 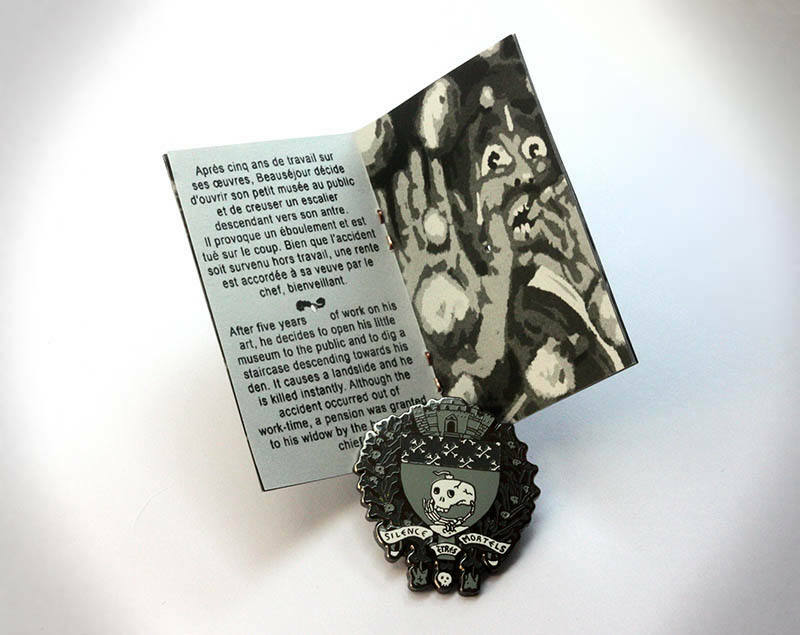 Discover his history in the mini-comic which comes along with the pin. 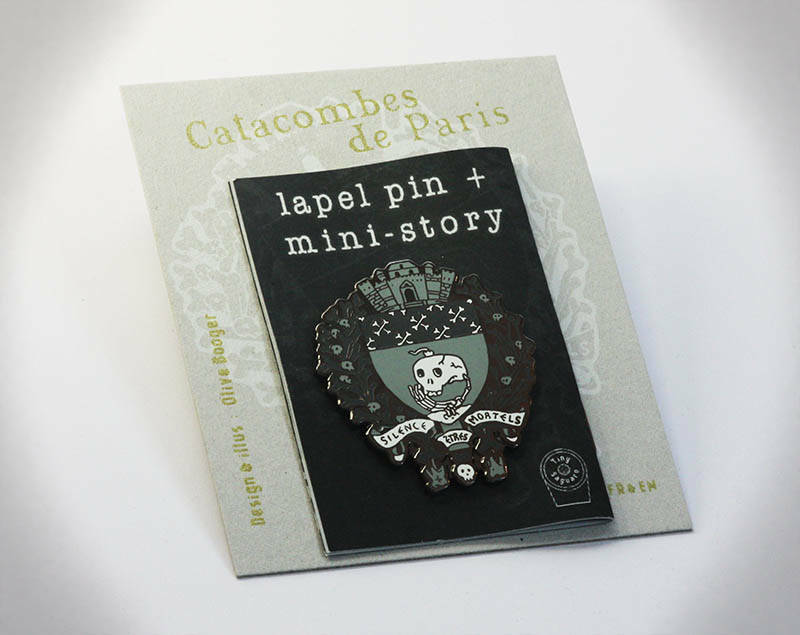 Like all other Tiny Saguaro pins, Tower of the Deads comes along with a 16 pages minicomic (in French and English). 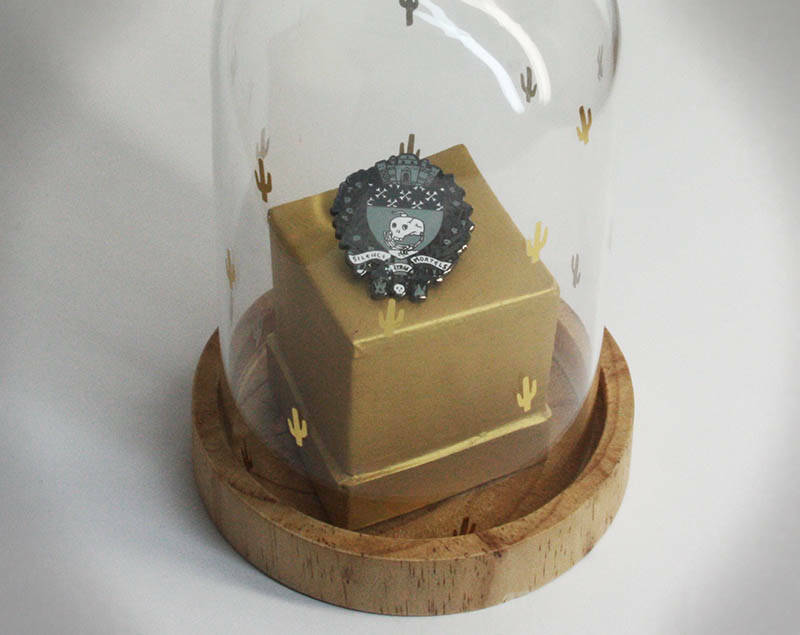 Dispatched and arrived very quickly, the item itself is gorgeous! Arrived with a lovely little note and just packaged in general in a really nice way. 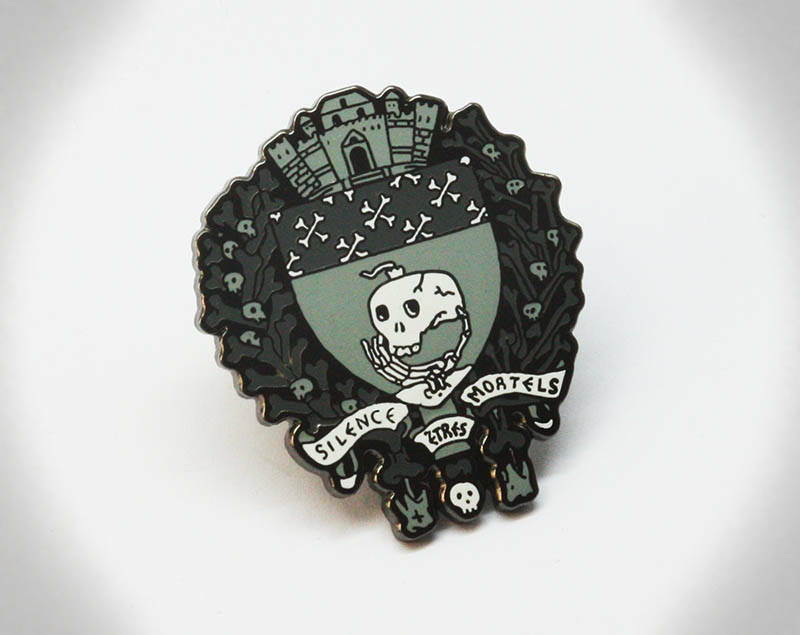 I hope one day I get to visit the catacombs myself. Thank you!